We’re proud to announce the launch of the first ever Toptal House this summer in Lisbon. Together with Surf Office, we will be providing accommodations and a co-working space for dozens of our community members from May 28 – June 12. During that time, we’ll host community workshops, lectures, and hackathons. We’ll make sure to save some time for catching a few waves, too. 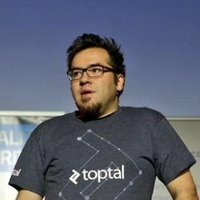 The event will include a talk How to write CRUD API in RoR using Grape and Grape Entities gems from Orban Botond, Toptal developer. The event will take place on June 6th at Surf Office. If you are interested in joining the event please RSVP or contact Kenan. Your message to Kenan was sent.